Colombo, August 23 (NIA): The Women’s Action Network (WAN), a collective of activists and human rights organizations from across Sri Lanka, is seeking either the annulment of Article 16 of the Sri Lankan constitution or its amendment because it allows the Muslim Marriage and Divorce Act (MMDA) of 1951 to continue to sanction discriminatory practices against Muslim women. According to WAN, Article 16 makes all written and unwritten laws in existence before the promulgation of the constitution valid and operative despite inconsistencies with fundamental rights. “Article 16, by upholding the MMDA sans reforms, renders Muslim women second-class citizens by not guaranteeing them equal protection under the law. Muslim women, including victims of child marriage, have articulated very strongly to the Public Representations Committee on Constitutional Reform, that the constitution must guarantee that their human and citizenship rights are not violated in the name of ‘cultural and religious rights’ and that every woman and girl in this country should enjoy equality and basic human rights regardless of religion or ethnicity,” WAN said in a statement here on Monday. “This requires includes either the removal of Article 16 in the new constitution, or amendments that allow constitutional supremacy above discriminatory customary laws,” WAN stated. Justifying the demand, WAN said that for decades, Muslim women’s groups, working closely with victims, have been advocating reform of the MMDA and the Quazi court system. Women’s groups have documented numerous cases of injustice faced by Muslim women under the MMDA. The minimum age for marriage is not prescribed. The process of divorce is different for men and women and disadvantageous to women. Polygamy is allowed without conditions. And compensation is arbitrary to name only a few of the disabilities faced by women as a result of the MMDA. Multiple cases of child marriage have been documented all over Sri Lanka in Muslim communities, which is enabled by the MMDA and Article 16. Information on marriage registration, maternity units in hospitals and case studies show the prevalence of both child marriage and child pregnancy. The absence of a legal protective mechanisms is the main cause. Data on registered Muslim marriages from four Divisional Secretariats in two districts of the Eastern Province indicate that over 143 cases of underage marriage had taken place in 2014, and over 118 cases in the first few months of 2015. 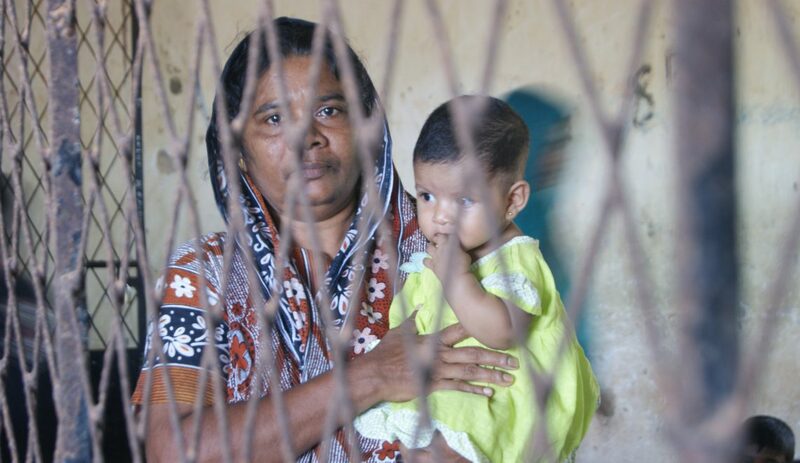 Muslim women around the country have also articulated in multiple forums that they are discriminated against by the sub-par Quazi court system, which is significantly different from the civil court system, in as much as, it does not allow the affected persons to have legal representation. On top of that, women are often mistreated by incompetent Quazis and the jurors of the courts. Husbands and wives are not treated equally. Women are unable to express their side of the story without fear of being verbally abused, threatened and humiliated in the court itself. The Quazi court system, while being a government sanctioned system funded by the tax payer, prohibits women from holding any position of authority, either as marriage registrars, Quazis, jurors, or on the Board of Quazis. This is systemic gender discrimination. The opposition to the amendment or removal of Article 16 has come primarily from conservatives in the Muslim community who want to maintain the status quo by claiming to have the best interest of the Muslim community at heart. They claim that the MMDA is based on Shariah law and therefore cannot be reformed. But the Sri Lankan MMDA is a combination of various versions of Shariah law and local customs .It also includes anti-Shariah provisions such as the recognition of kaikuli (dowry) which is forbidden in Islam. Others claim that the Muslim community is under threat from anti-pluralist elements and as such, the MMDA must be retained. “But protection in the constitution for minorities does not mean that discriminatory family laws can be allowed to supersede the constitution merely to guarantee cultural/religious rights at the expense of fundamental rights of women,” WAN argues. “The new rights-based constitution must guarantee equal legal status and protection for Muslim women. Making the constitution truly supreme by removing or amending Article 16, will provide space for the Muslim community to reform the MMDA and address contemporary issues in the community. There are different approaches to addressing Article 16, but leaving it unchanged is not an option,” WAN says. On Tuesday 20 affected Muslim women will be representing their case before the Constitutional sub-committee on Human Rights. The Sri Lanka Muslim Congress, the strongest Muslim political party, is also expected to appear before the committee and argue for the retention of Art 16, WAN apprehends.